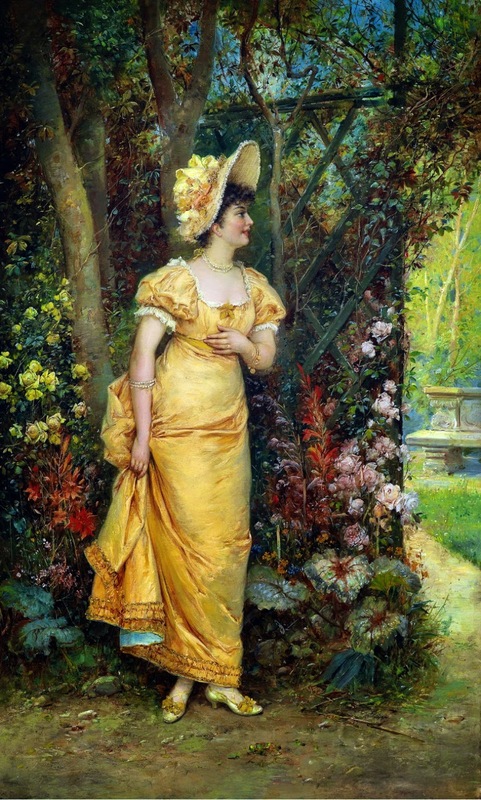 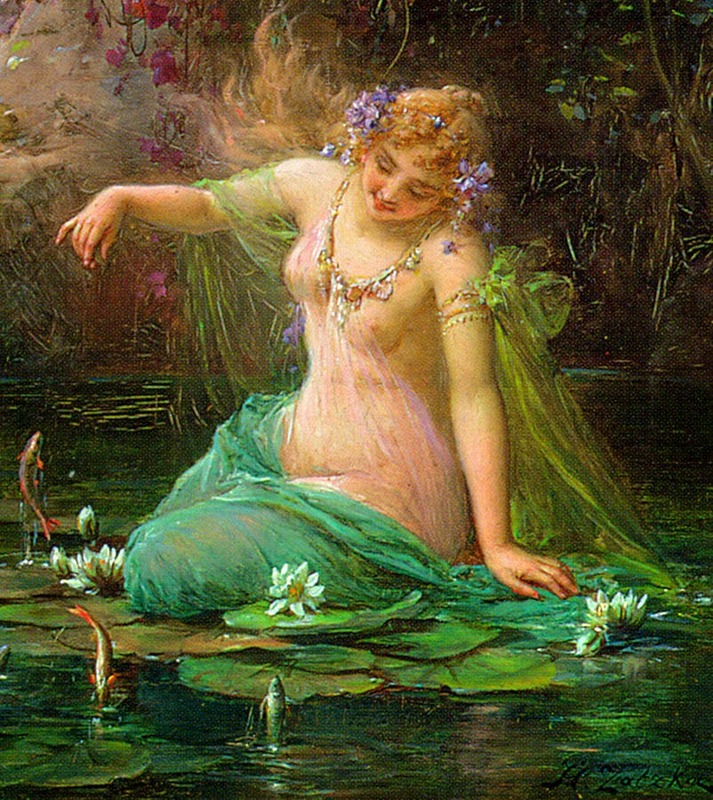 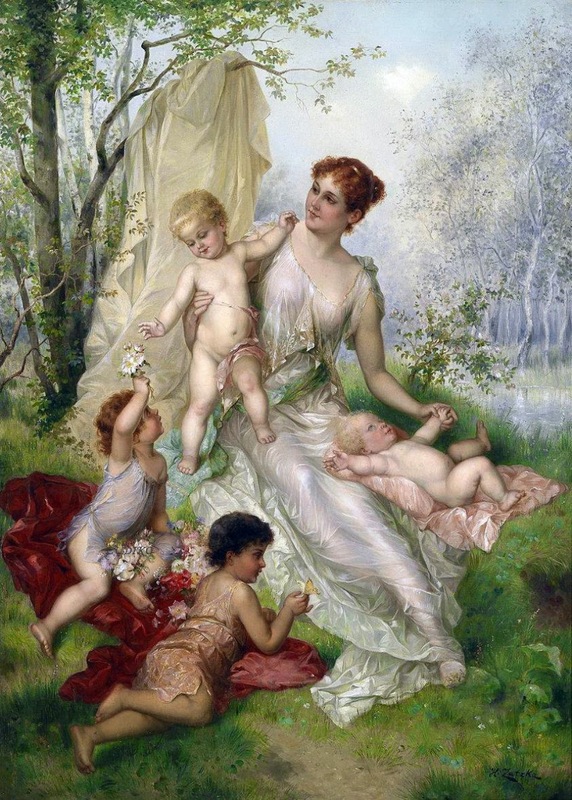 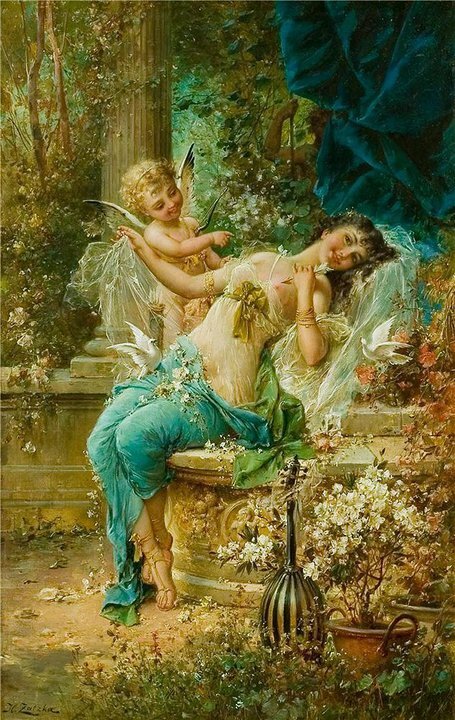 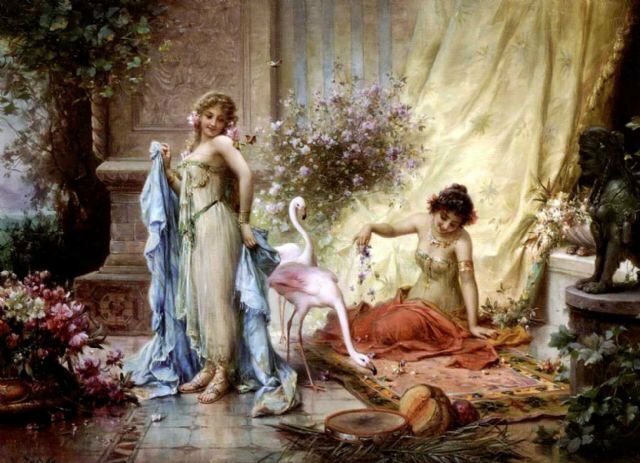 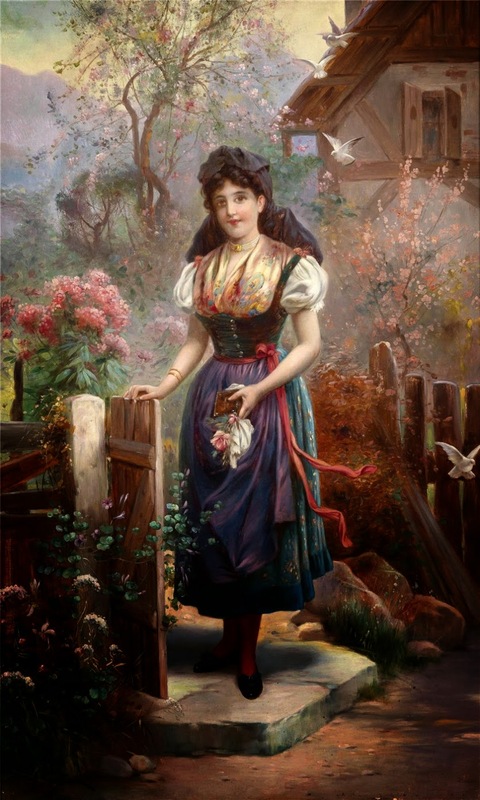 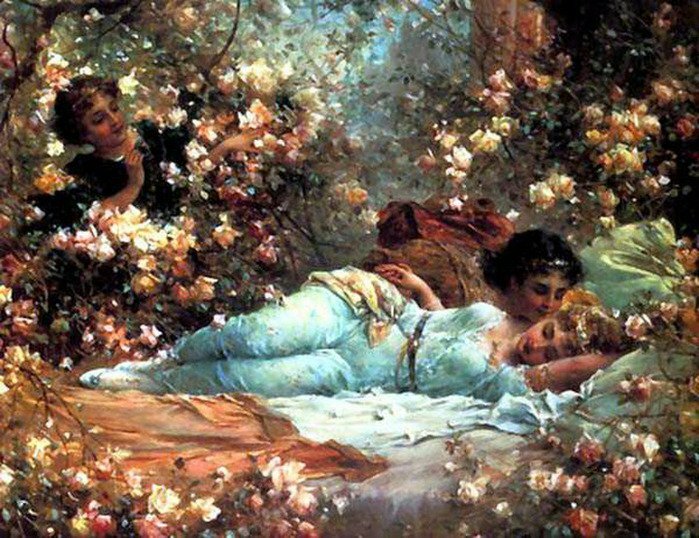 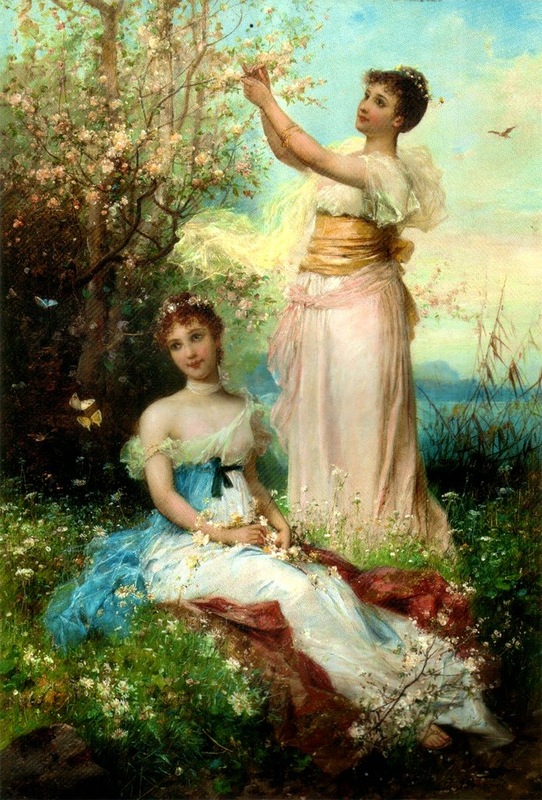 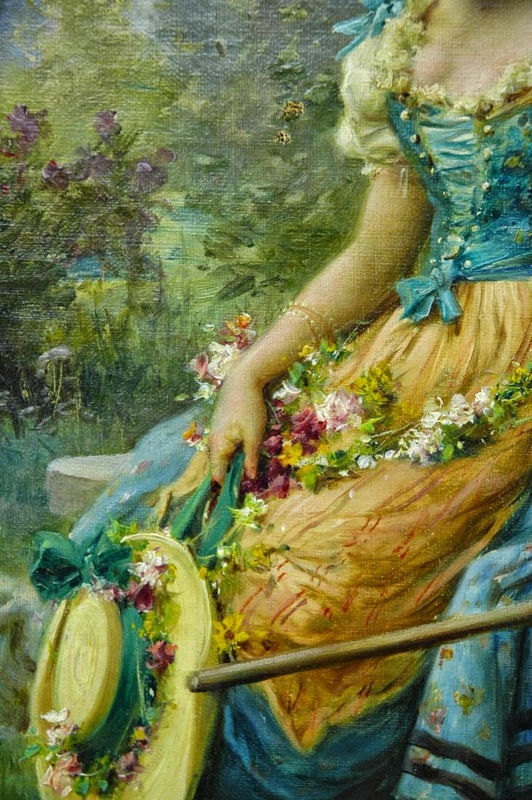 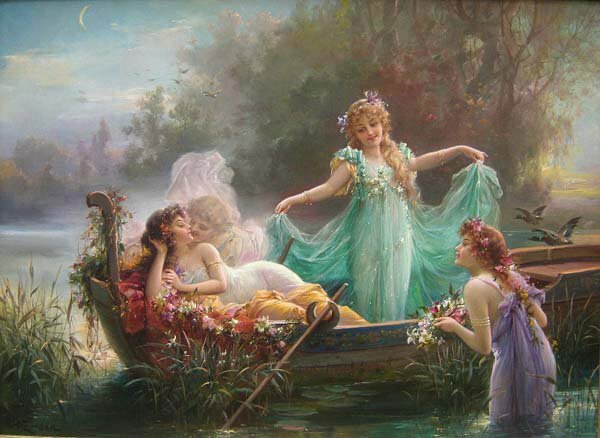 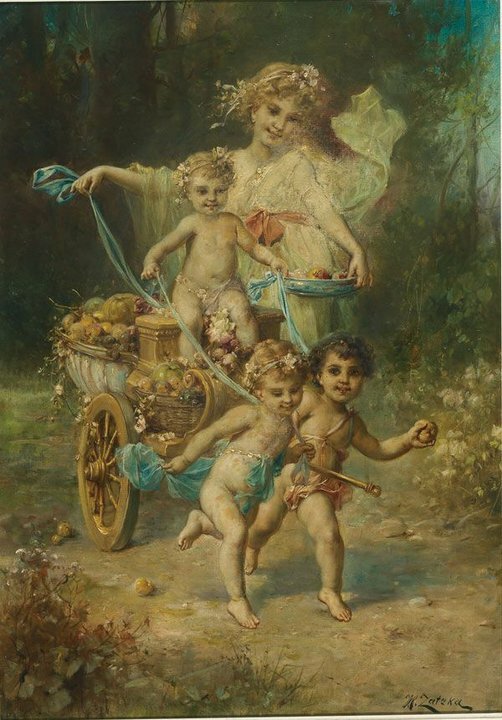 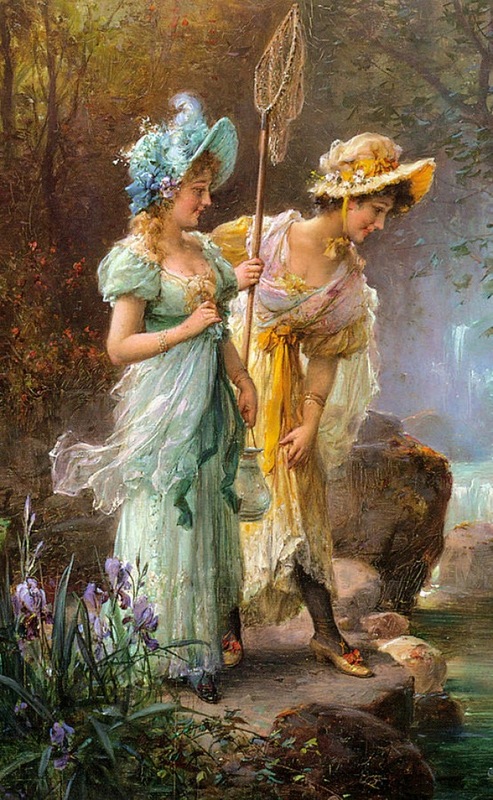 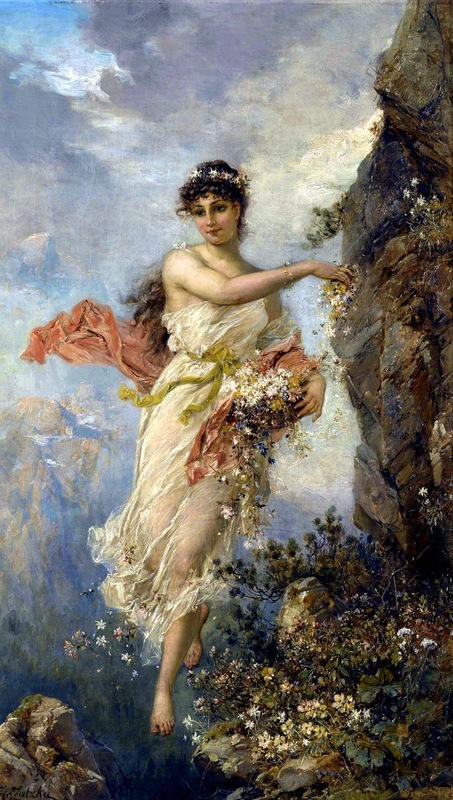 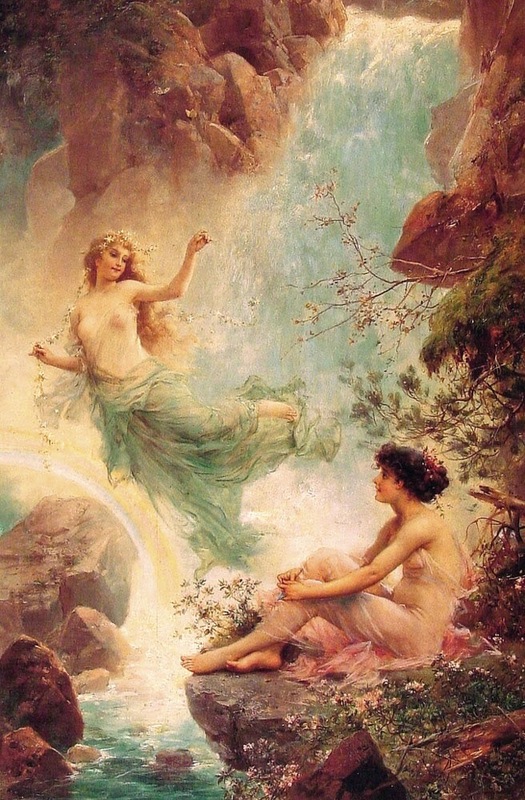 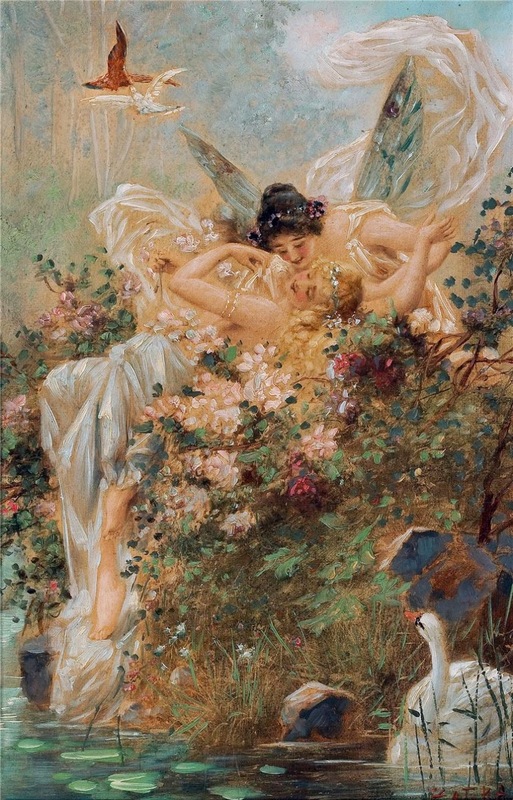 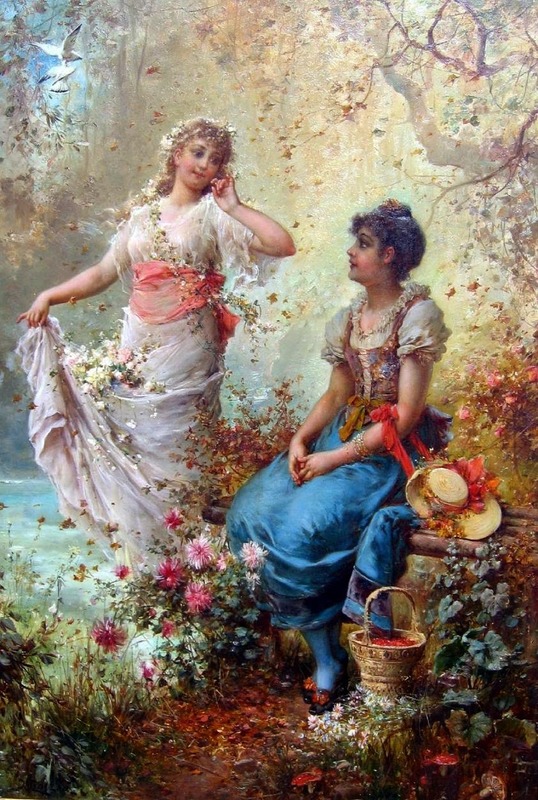 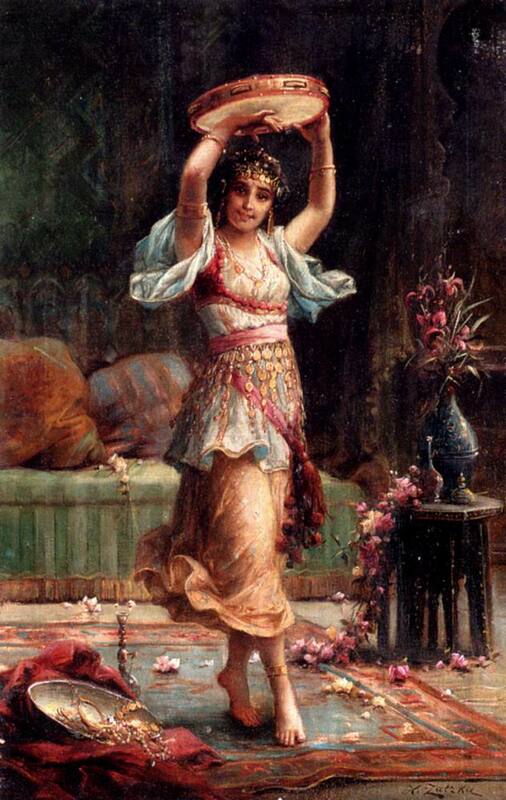 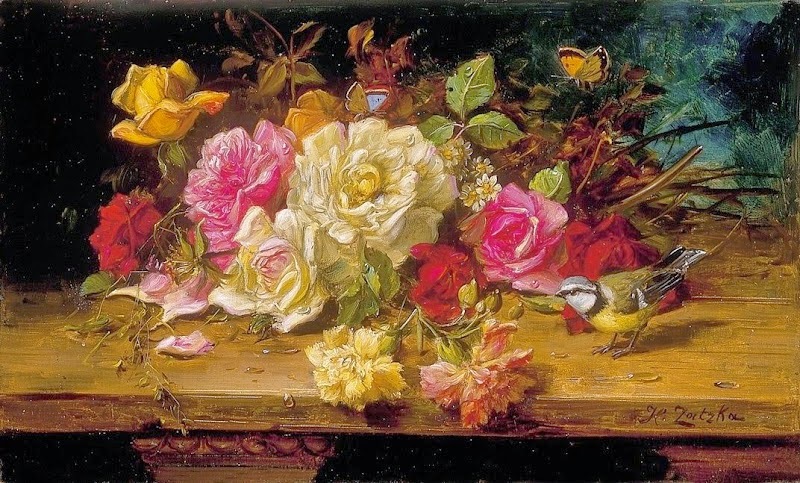 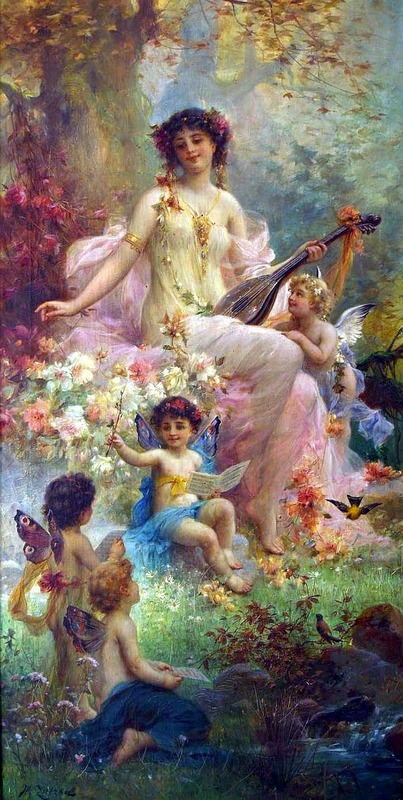 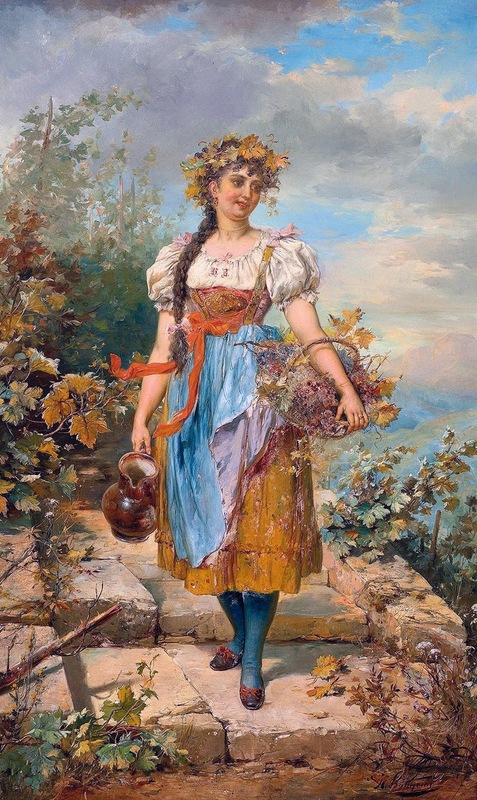 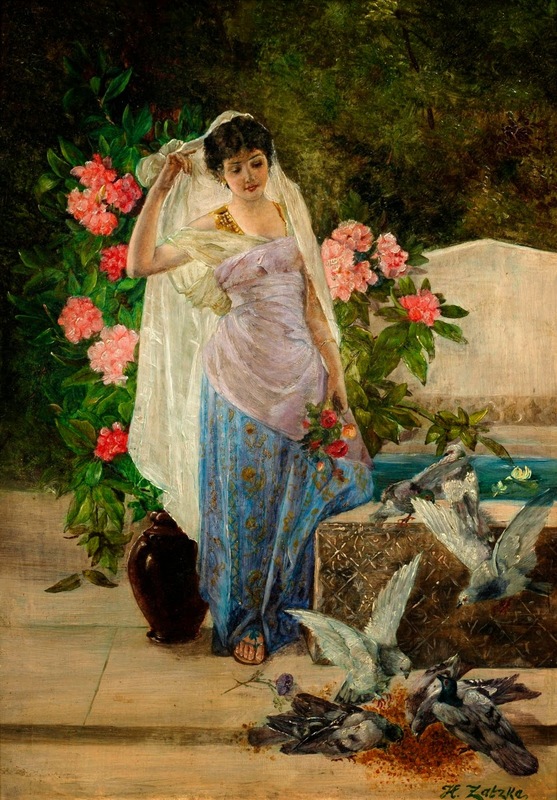 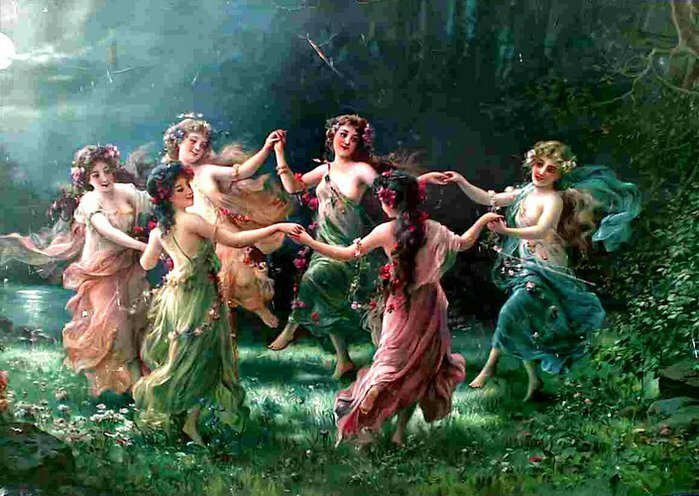 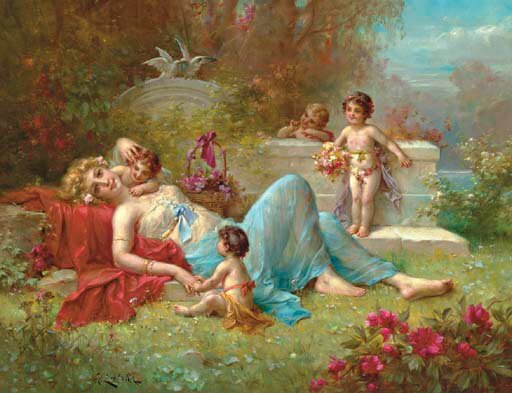 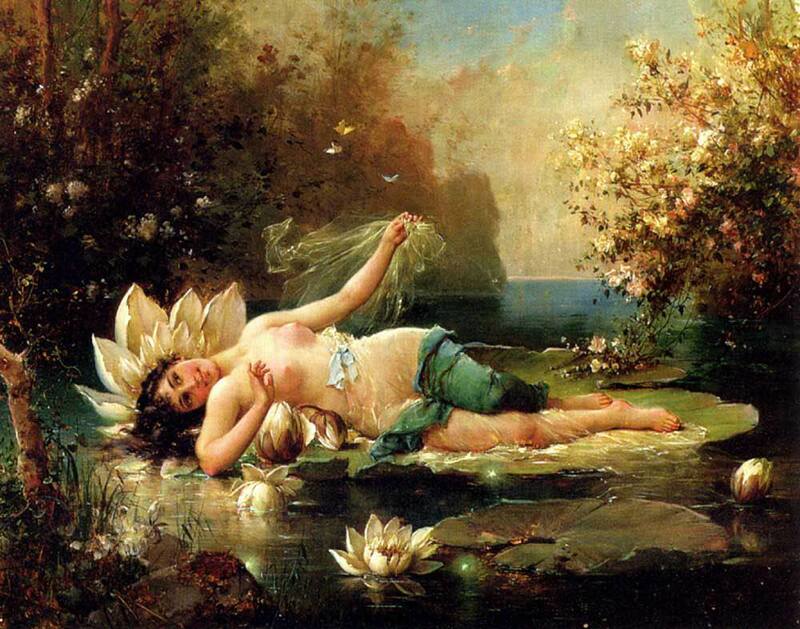 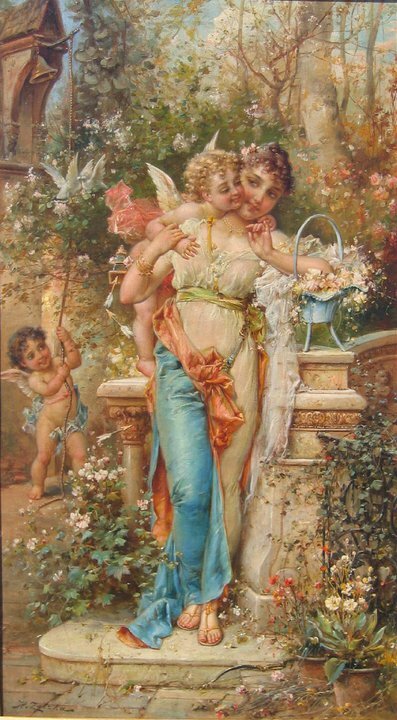 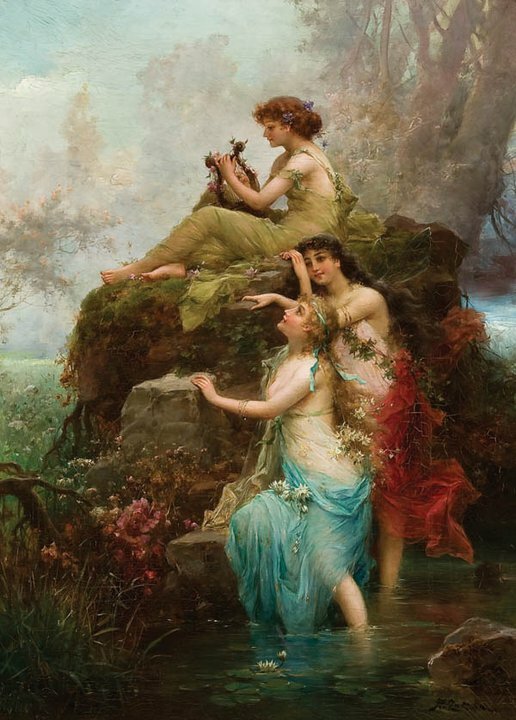 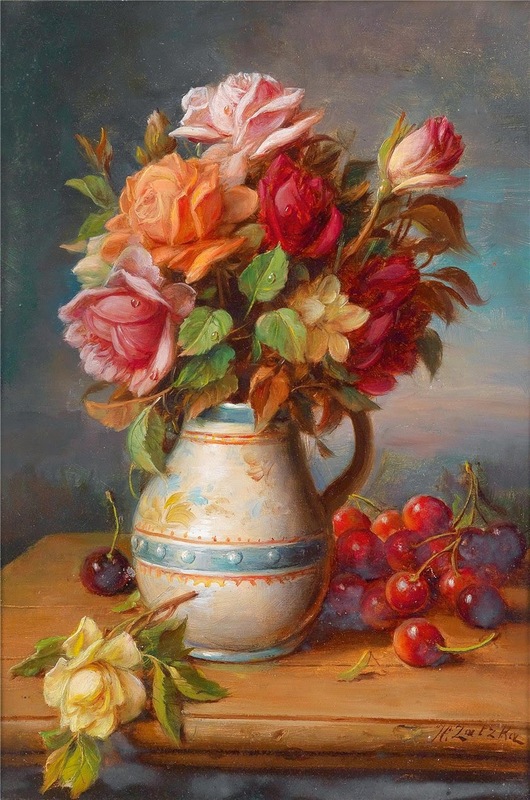 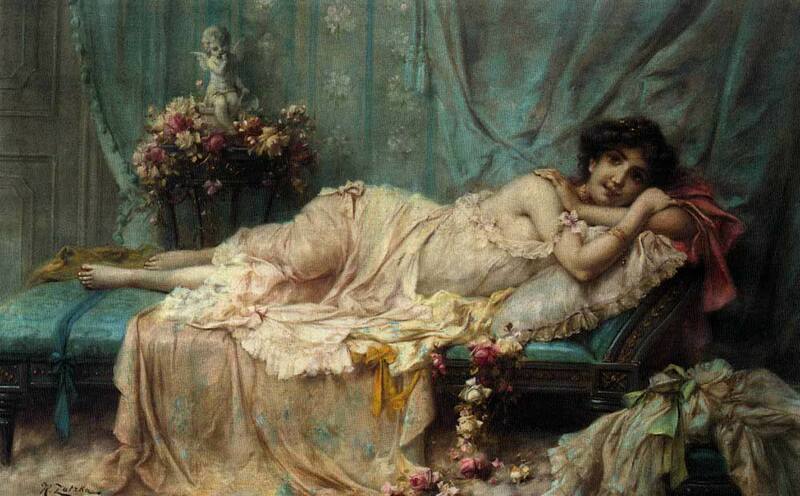 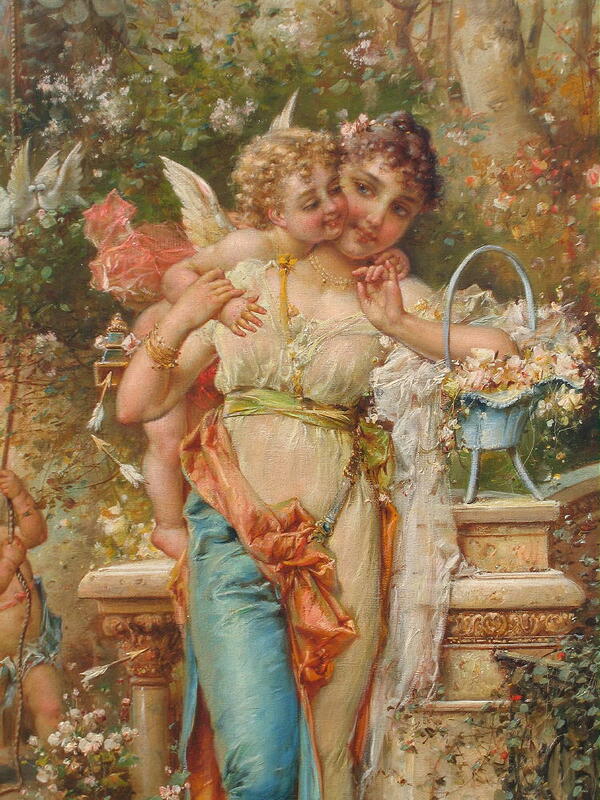 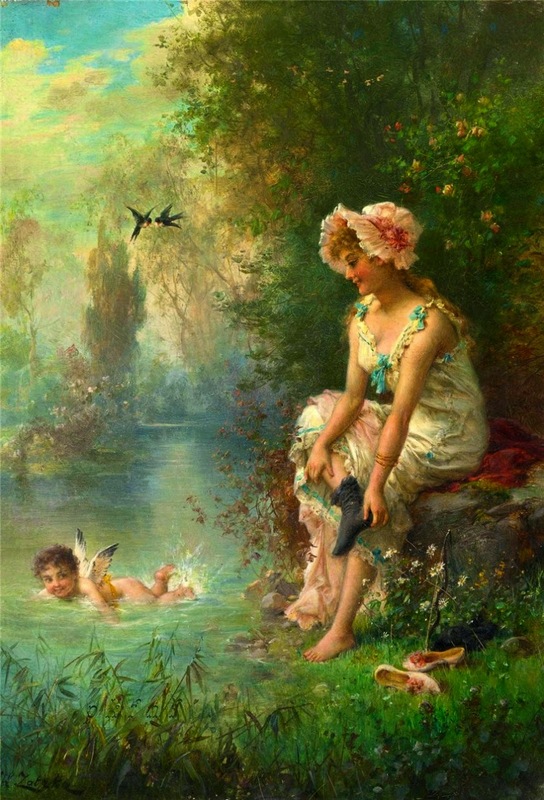 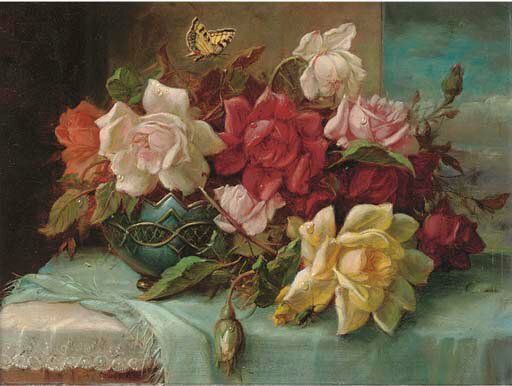 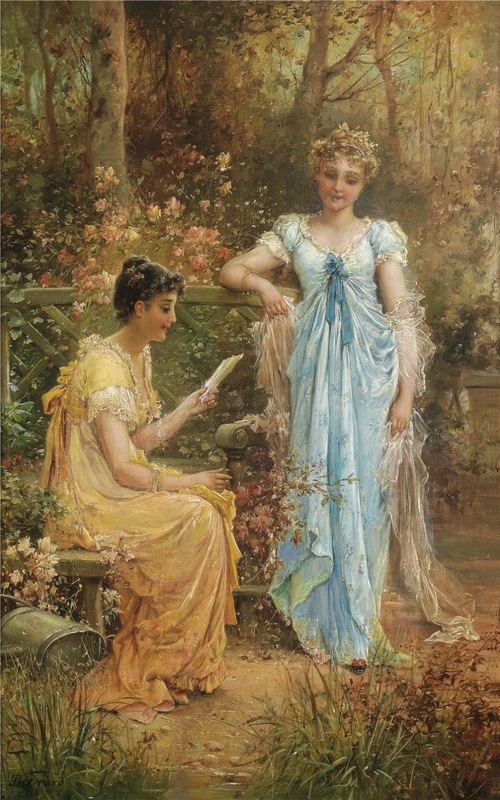 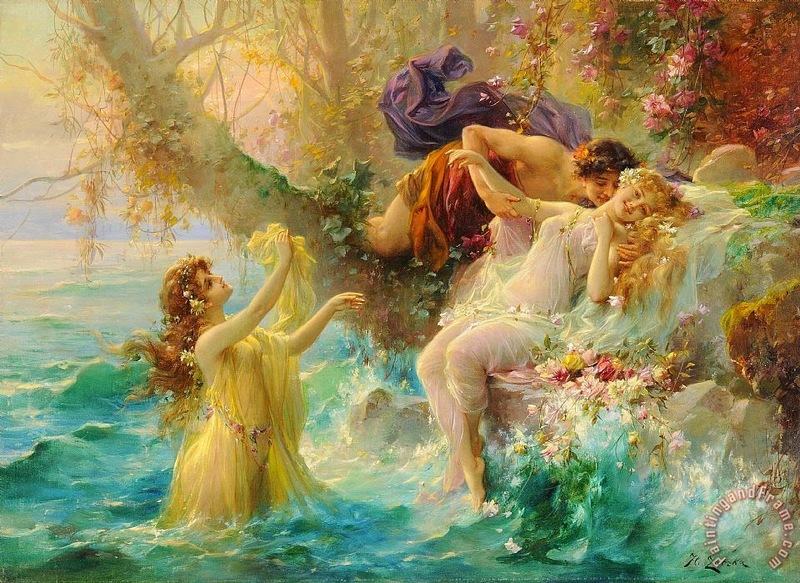 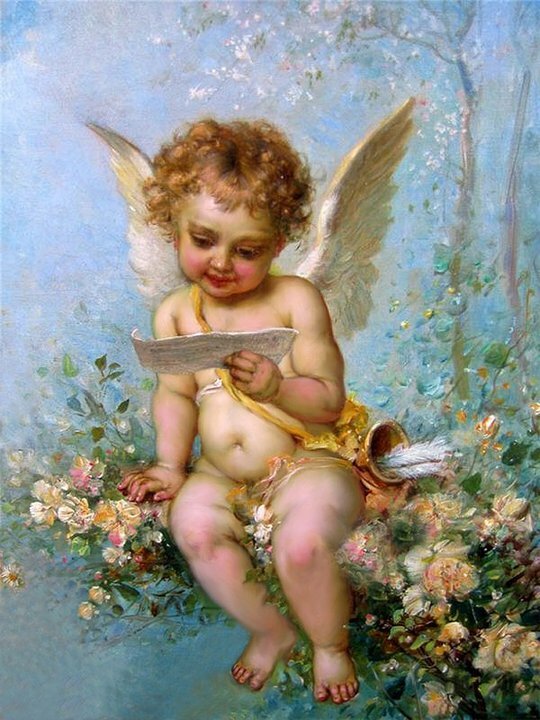 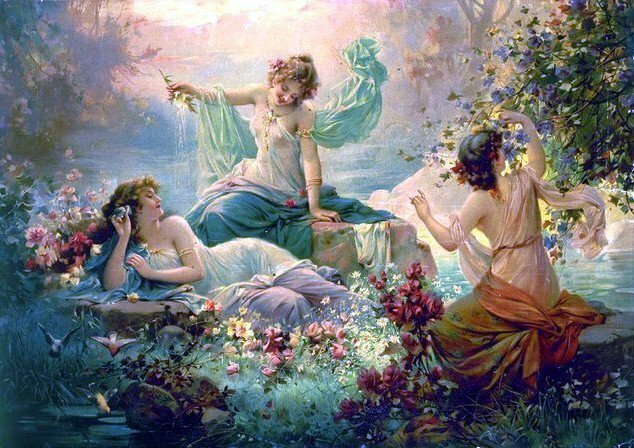 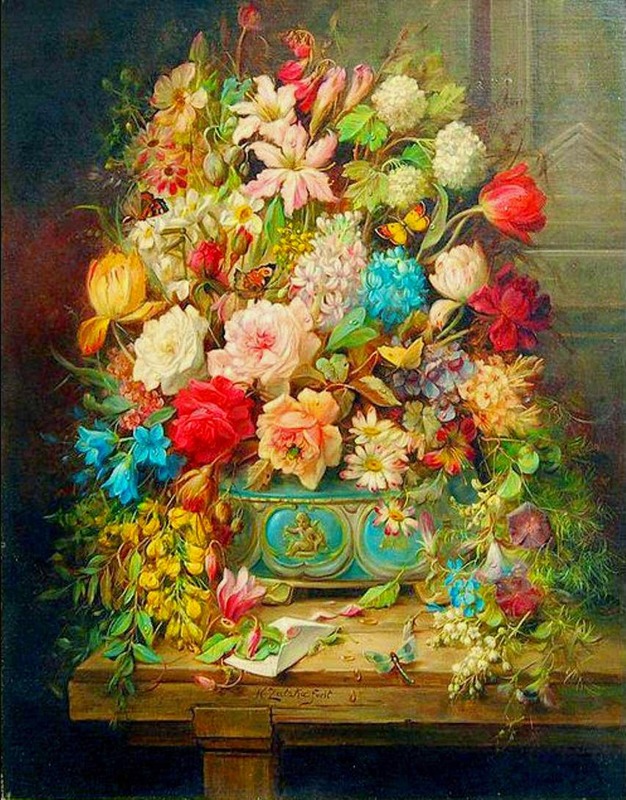 Austrian painter Hans Zatzka 1859-1949 [also known as P. Ronsard, Zabateri, Pierre de Ronsard, Joseph Bernard and Bernárd Zatzka] was born March 8, 1859 in Vienna, to a builder and his viennese actress wife, Hilde Sochor. 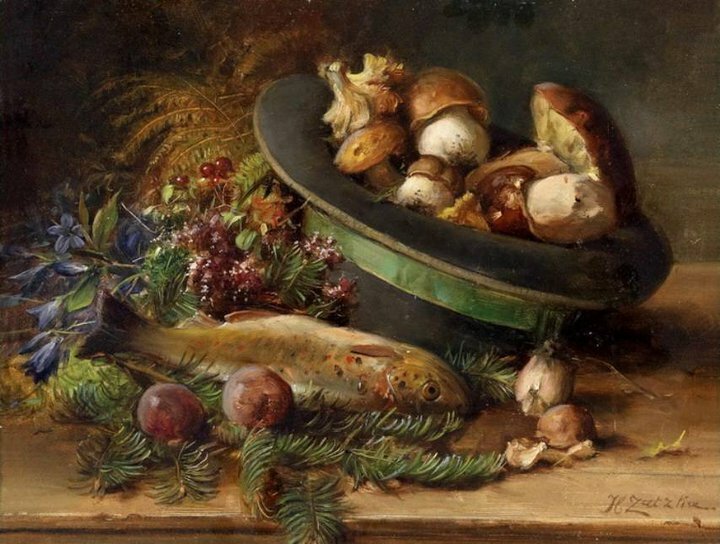 Zatzka showed an early interest in painting. 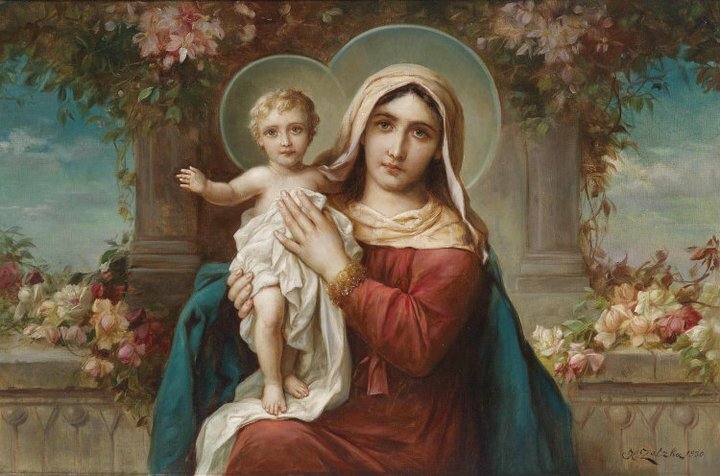 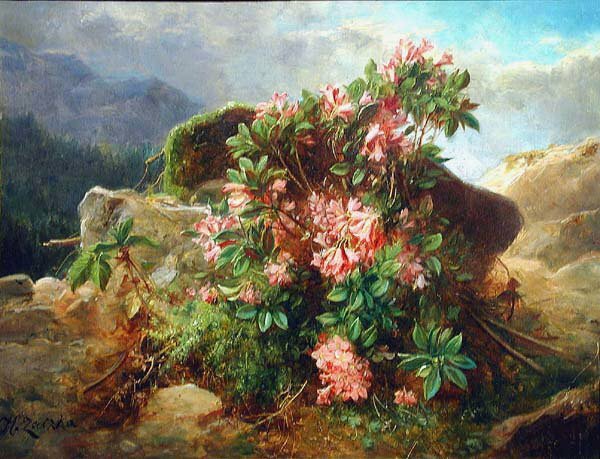 From 1877-1882 he attended the Academy of Fine Arts in Vienna, studying under Christian Griepenkerl, Karl Wurzinger and Carl of Blaas. 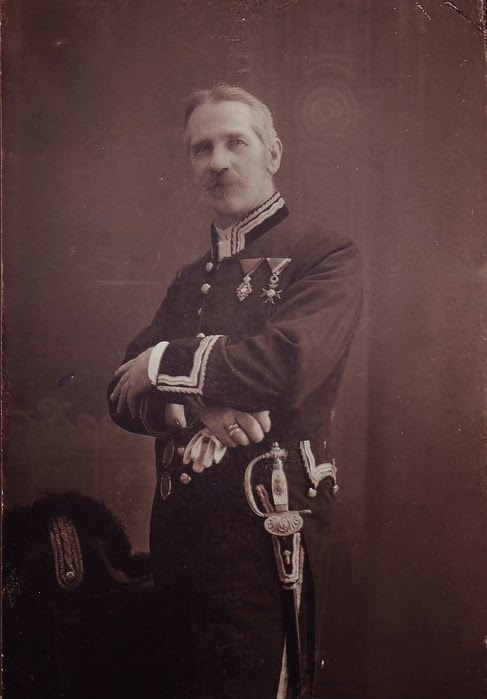 In 1880, at the age of 20, he was awarded the Golden Füger medal; the golden decoration for services to the city Vienna. 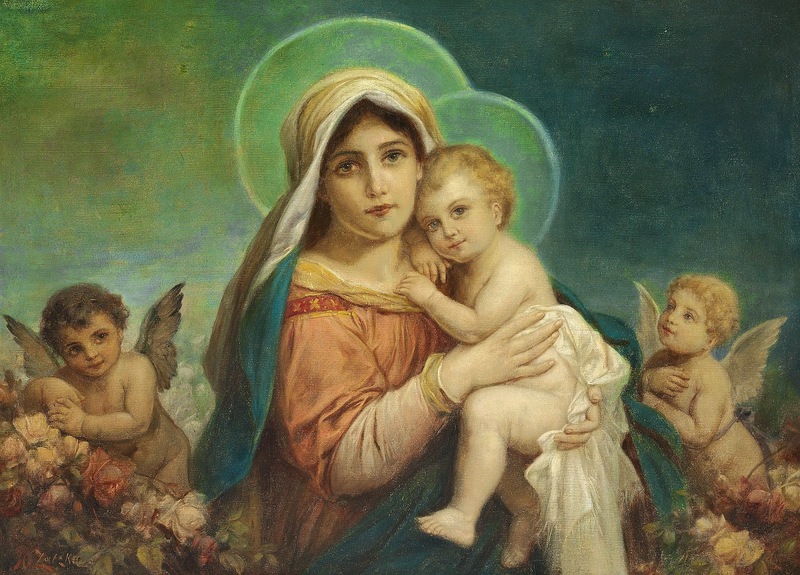 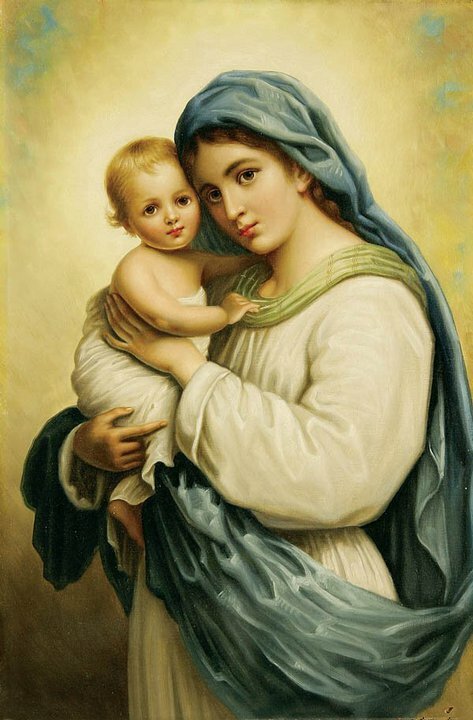 After several trips to Italy, Hans worked in the style of his predecessor, Hans Makart, as a free-lance painter in Vienna, painting ceiling frescoes in stairway houses and residential buildings, numerous murals for altars in churches, and portraits. 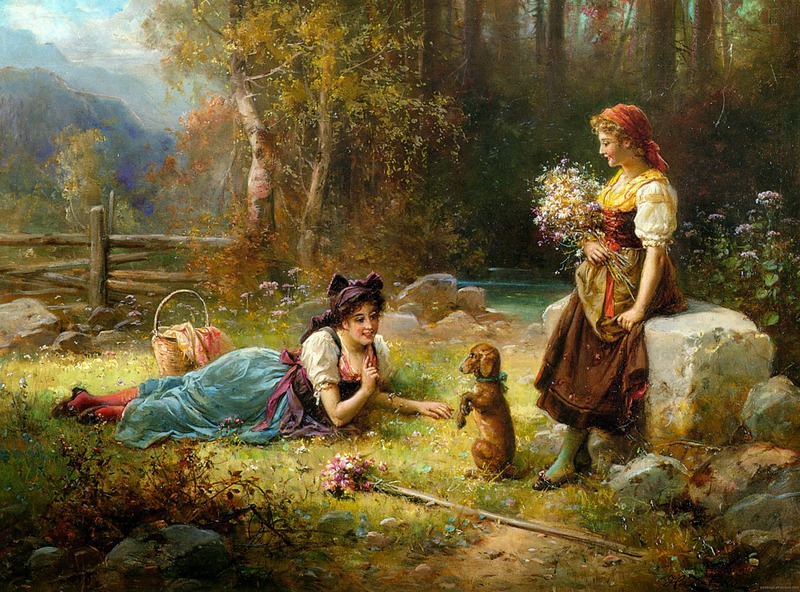 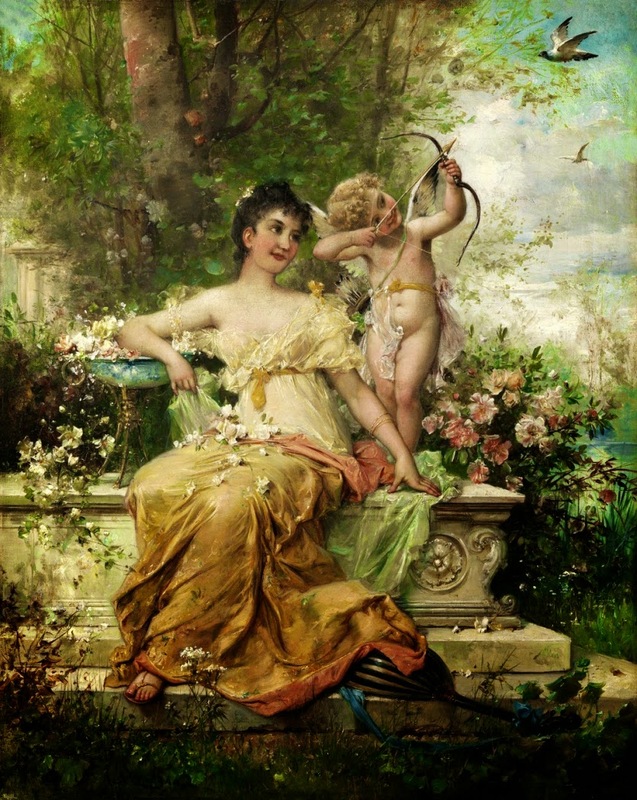 It was during this time that he developed as special interest in academic genre paintings of idyllic women and cupids. 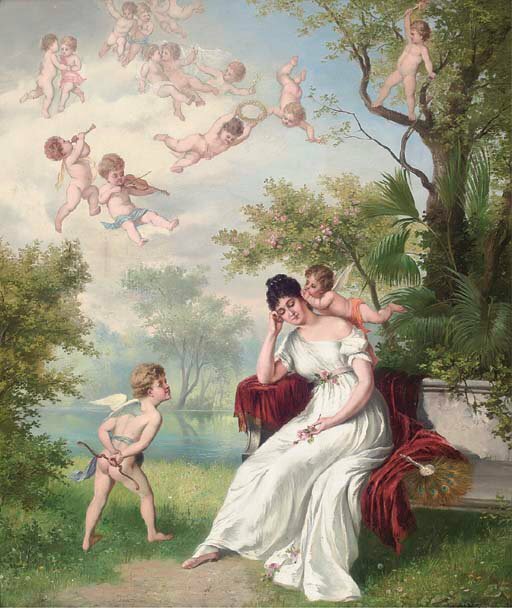 From these representations, Zatzka turned to painting guardian angel images, elves, sensuous female figures, genre scenes, allegories and other popular motifs. 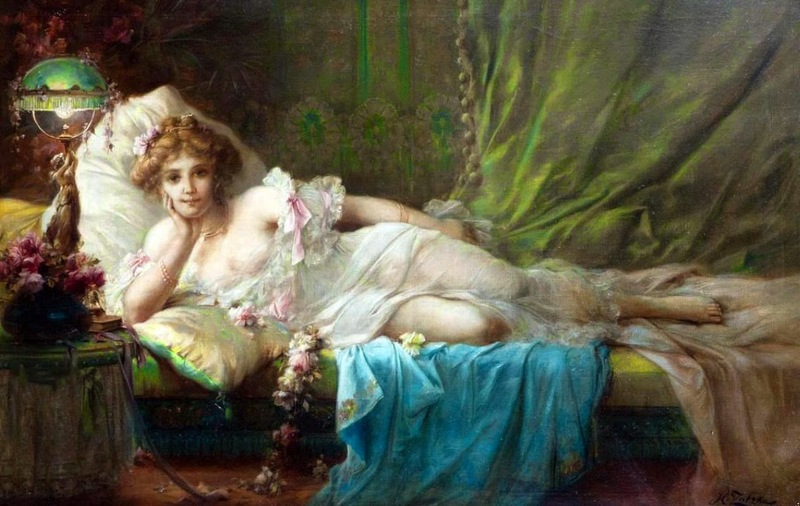 He was a greatly influenced by the operas of Richard Wagner and considered ground-breaking in the production of "bedroom pictures" or "towel format", a term used to describe a format that fit the low ceiling and cramped spaces. 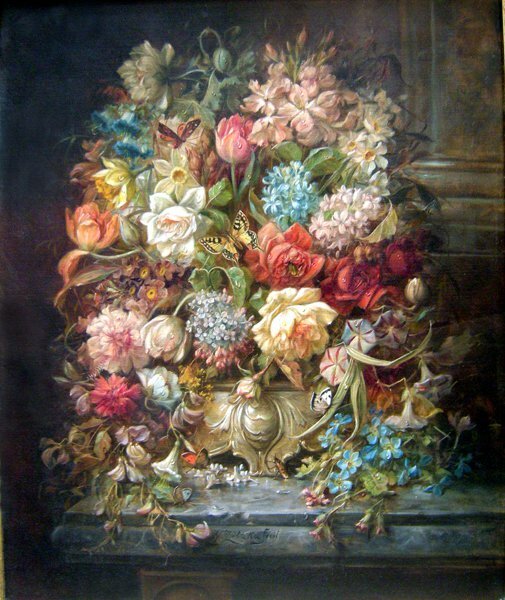 By the 1920's this style was the size of choice for most European homes. 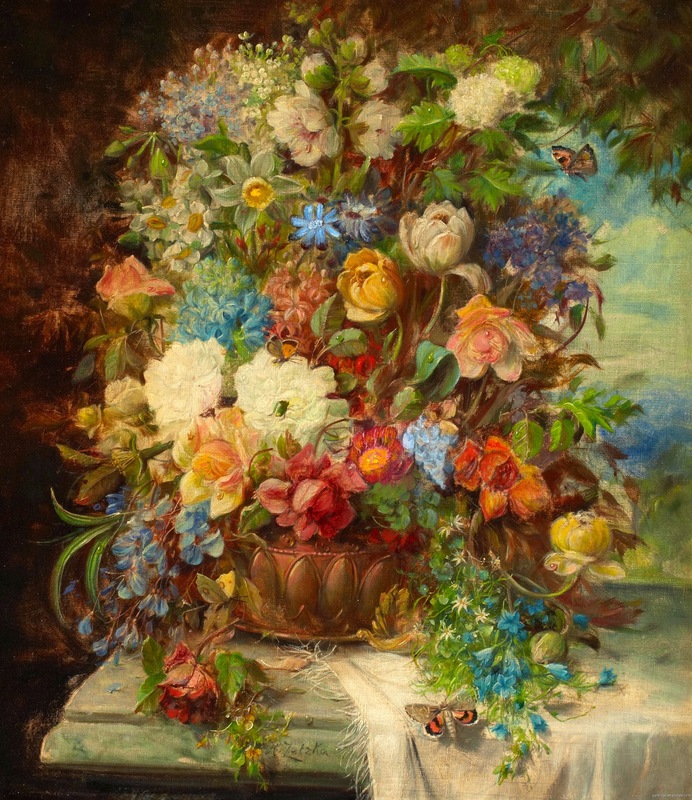 By the turn of the century, Zatzkas' pictures turned to picture postcard sales in the galleries of Viennese artists, and ultimately sold to other publishers. 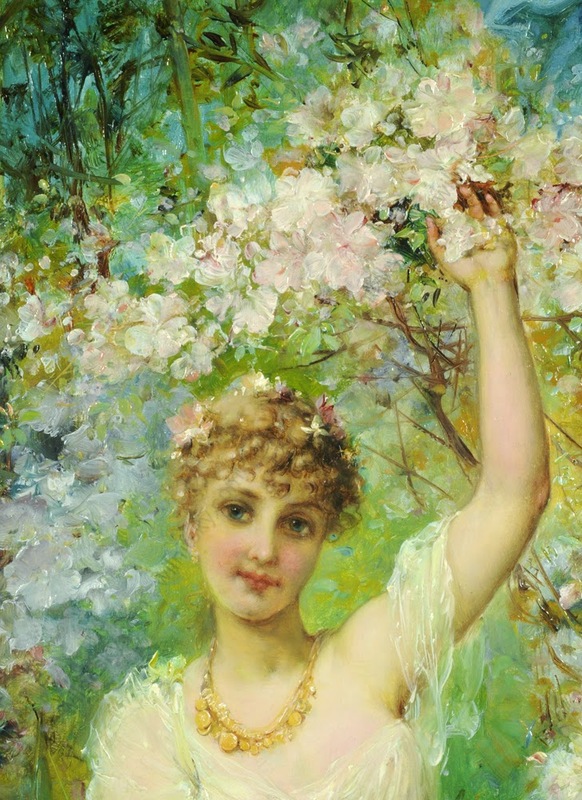 In 1906, Zatzka gave precise orders for mass production on a trial basis. 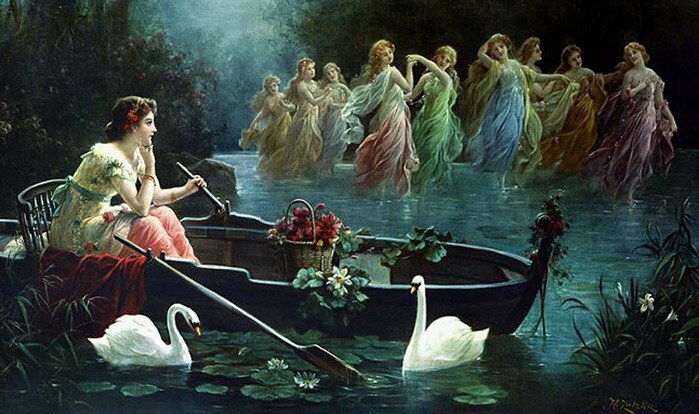 By 1914, the first of Hans Zatzkas' bedroom images were distributed. 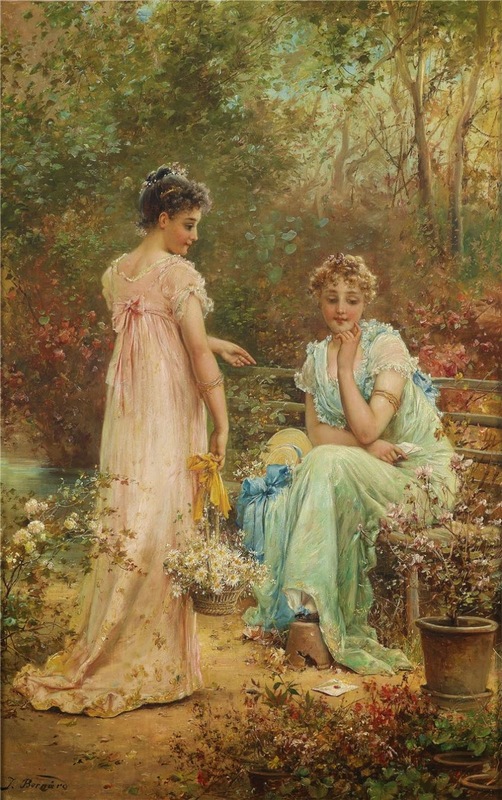 Hans Zatzka did not make his living from postcards but from his religious frescoes in churches, altar paintings, and other large commissions such as hospitals in Vienna during the 1920's. 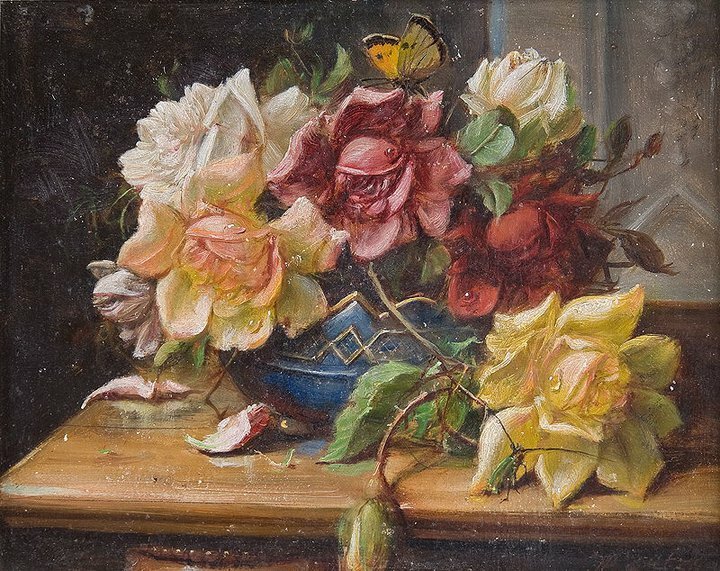 He lived in his home studio, never took in students or teaching jobs and painted until the 80th year of his life. 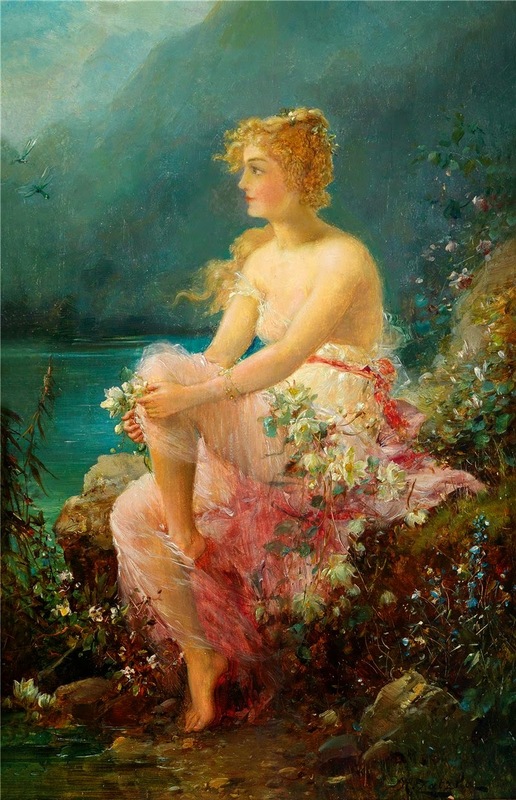 Hans Zatzka died December 17, 1945. 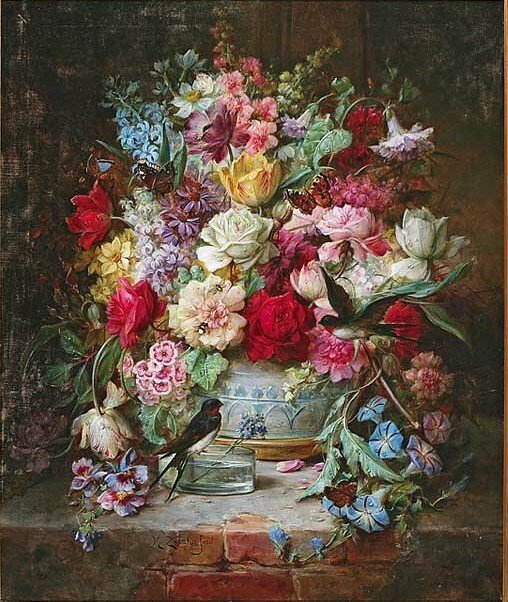 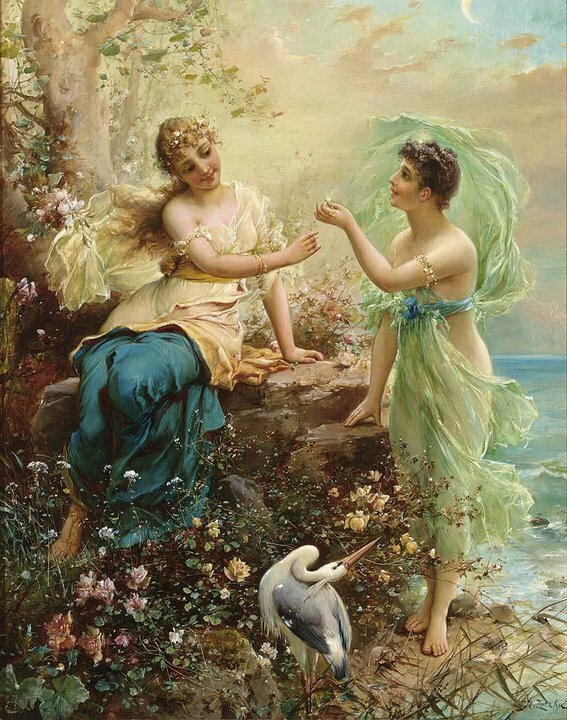 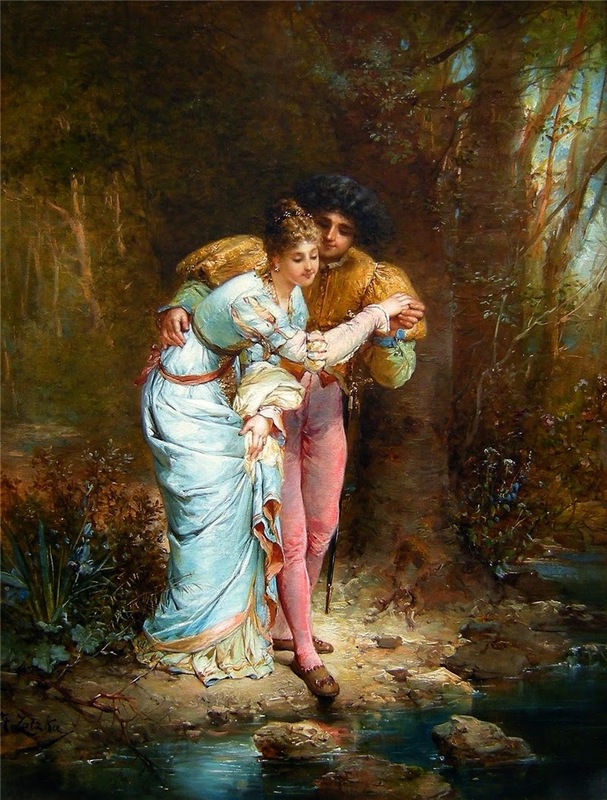 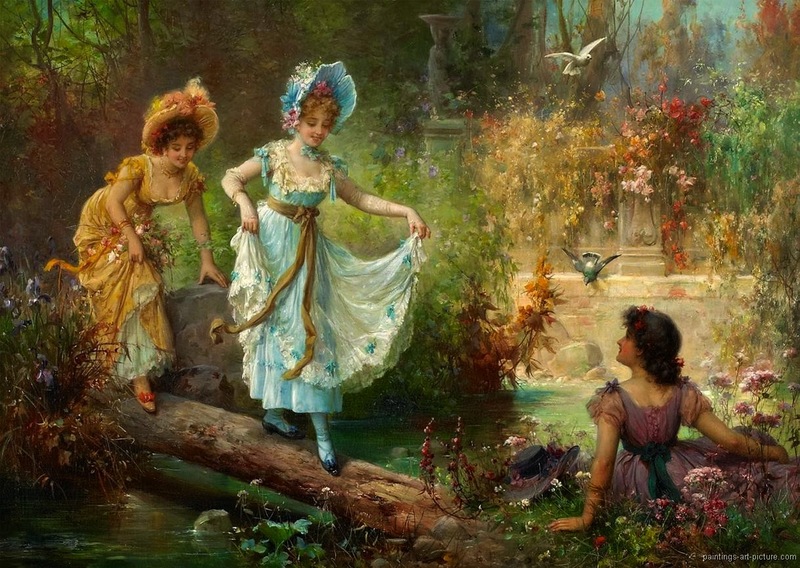 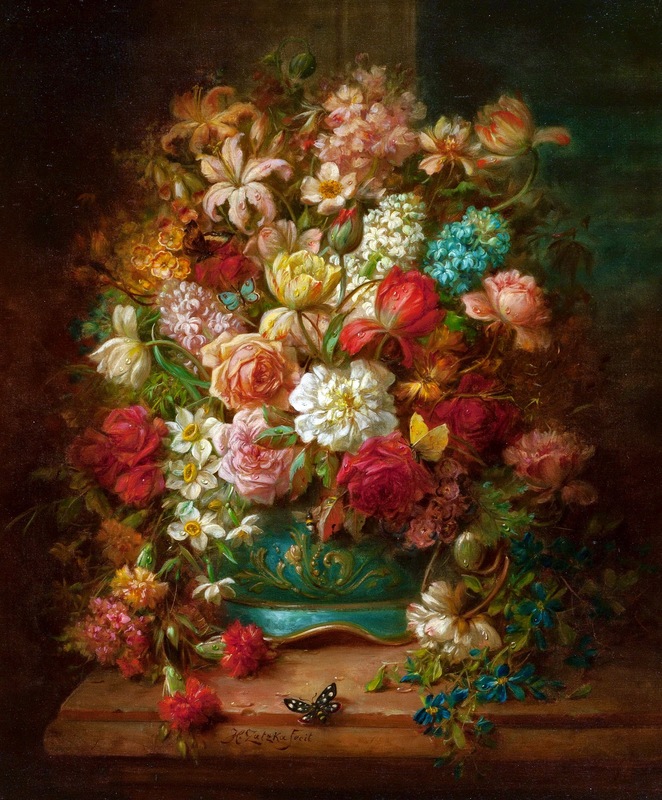 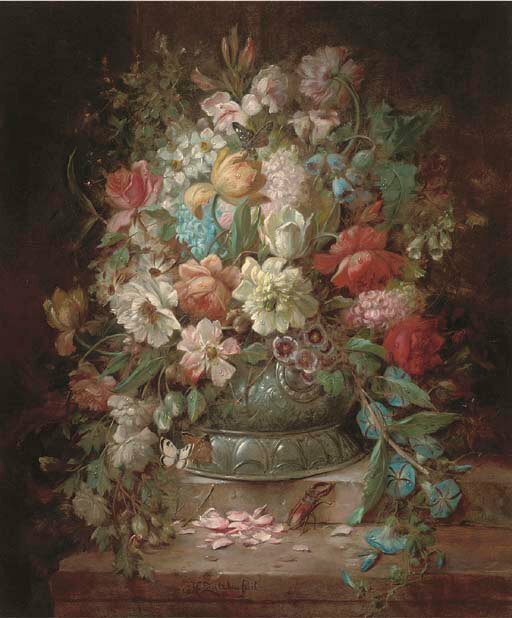 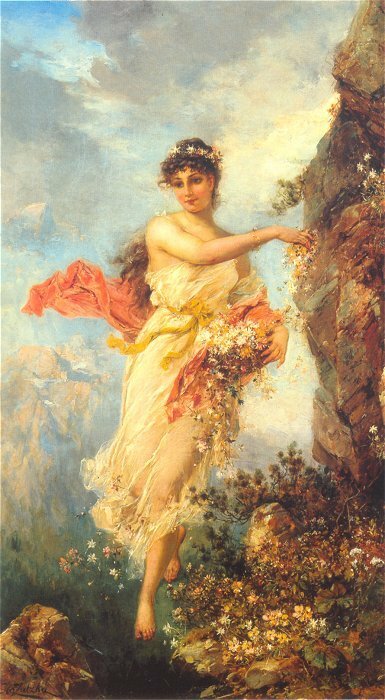 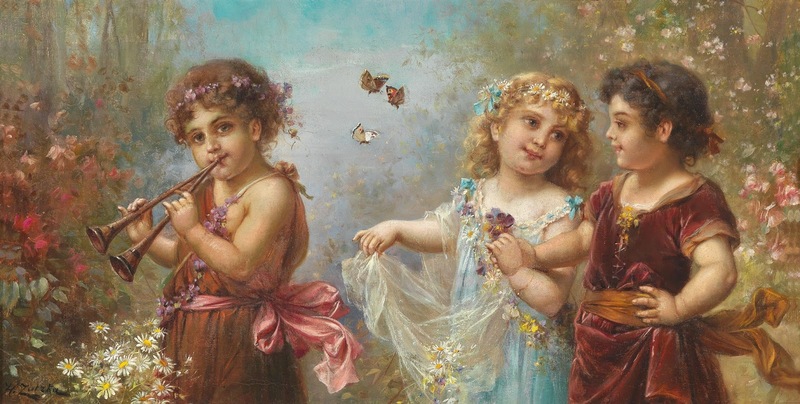 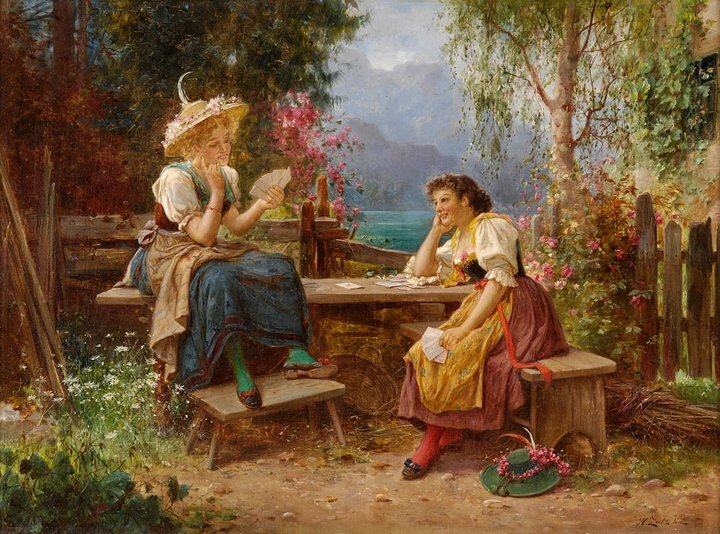 By 1980, demand for Hans Zatzka paintings in the United States enjoyed great popularity and significantly increased the value of his work. 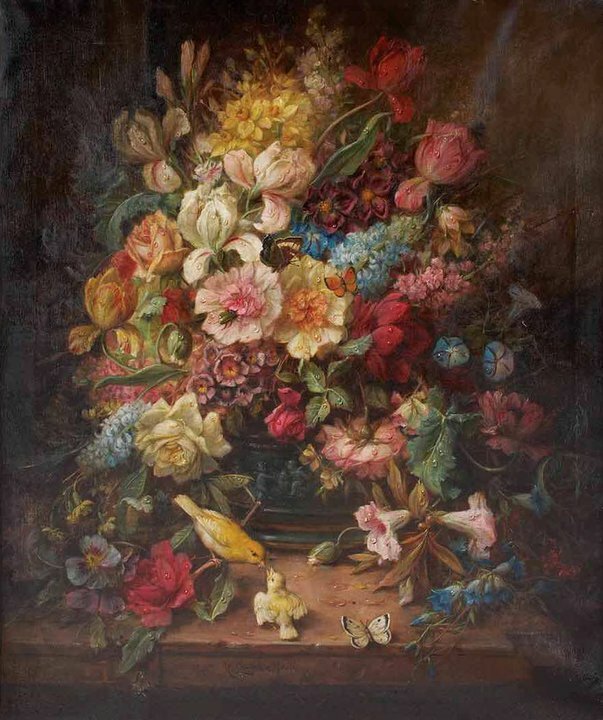 Zatka's work is now sold internationally in galleries and auction houses, fetching large sums of money. 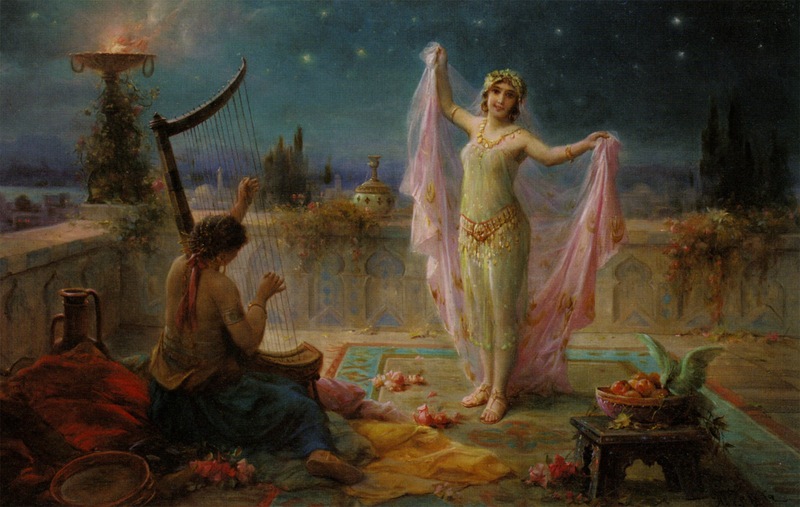 In 2004, Somalia published special stamps with four motifs of images Zatzka: harem dancer, nymphs, spring goddess, and night sky. 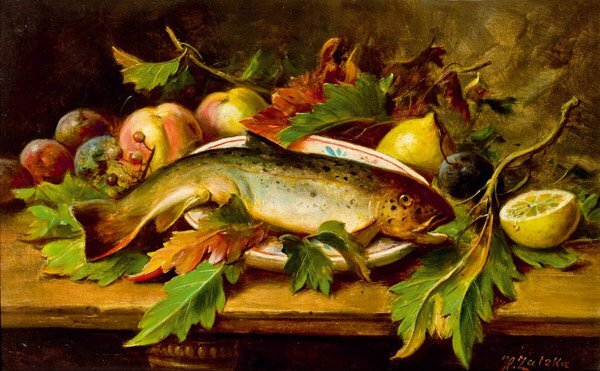 L'artista Austriaco Hans Zatzka è nato l'8 marzo 1859 a Vienna ed è morto nel 1945. 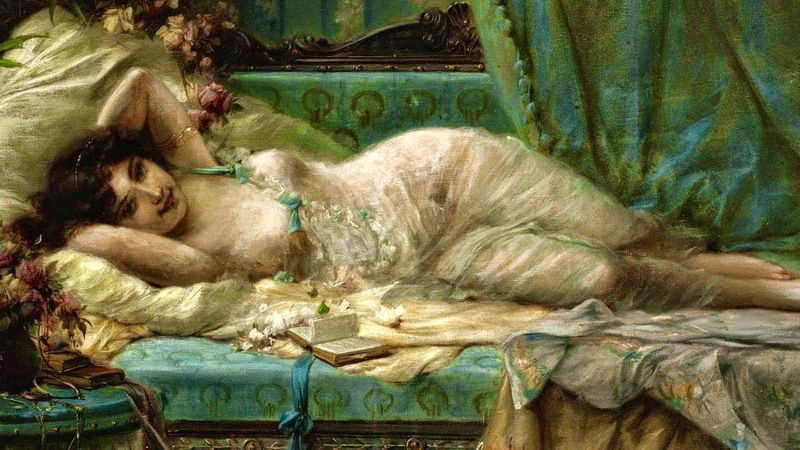 Frequentò l' Accademia di Belle Arti nel periodo 1877-1882, dove ha studiato con il Prof. Blaas con molto successo ed è stato premiato con il Fügermedal d'oro nel 1880. 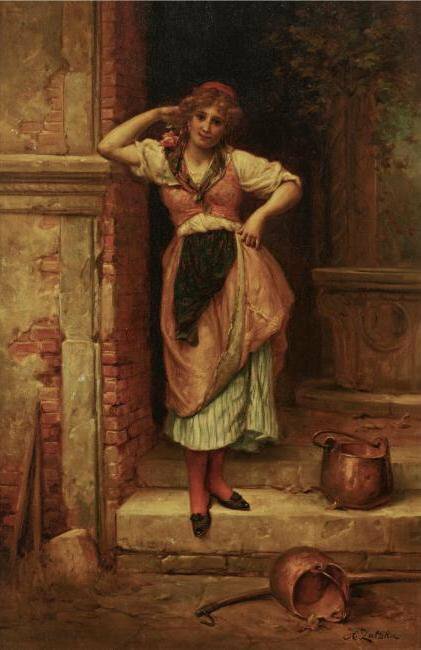 Ha fatto diversi viaggi di studio in Italia, in seguito ha praticato affresco nelle chiese e ritratti. 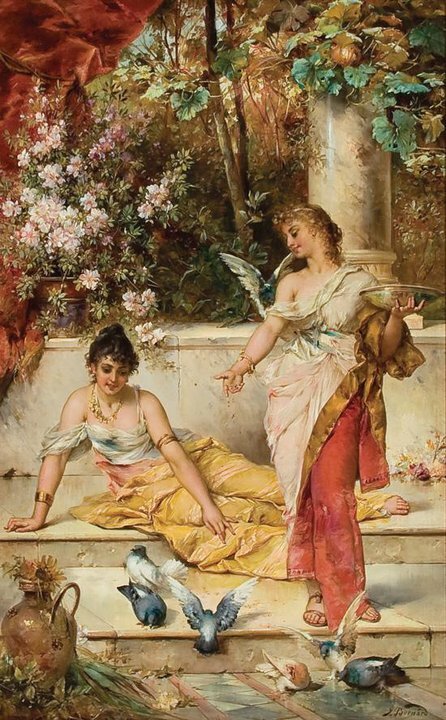 Ha sviluppato un particolare interesse per quadri rappresentanti ideali donne ed amorini. 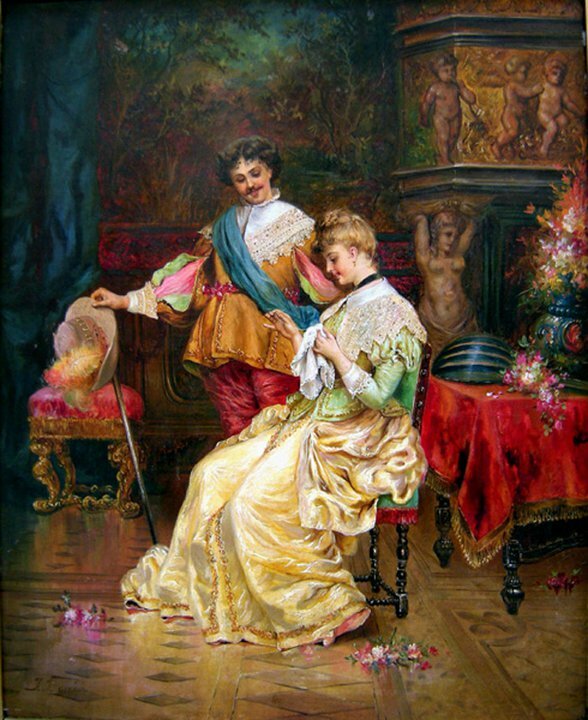 All'età di 26 ha ottenuto il suo primo significativo impegno pubblico: l'affresco del soffitto a "Kurhaus Baden" nelle vicinanze di Vienna. 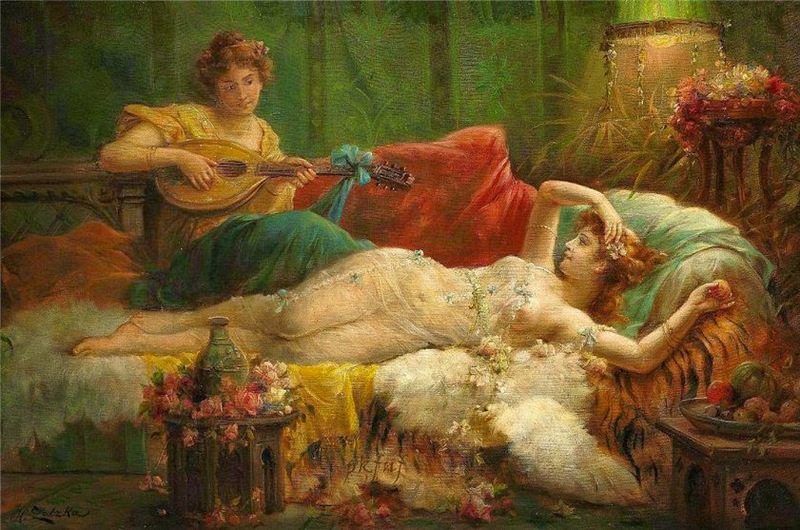 Ha dipinto fino all'età di 80 anni. 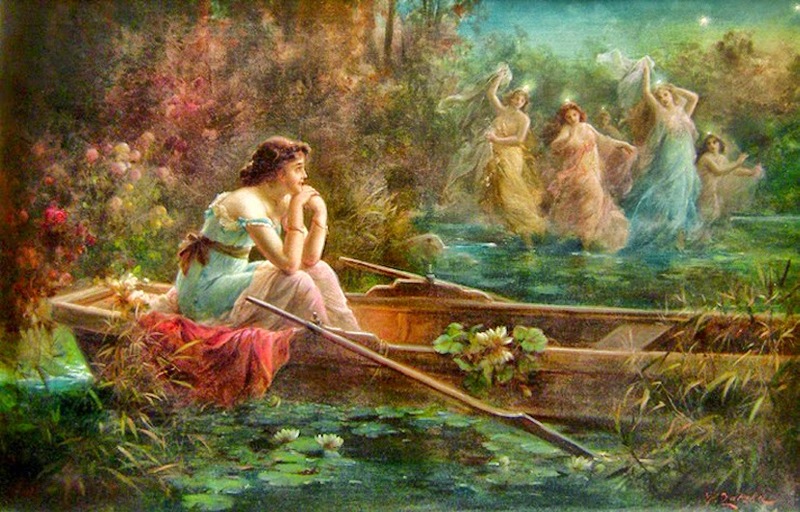 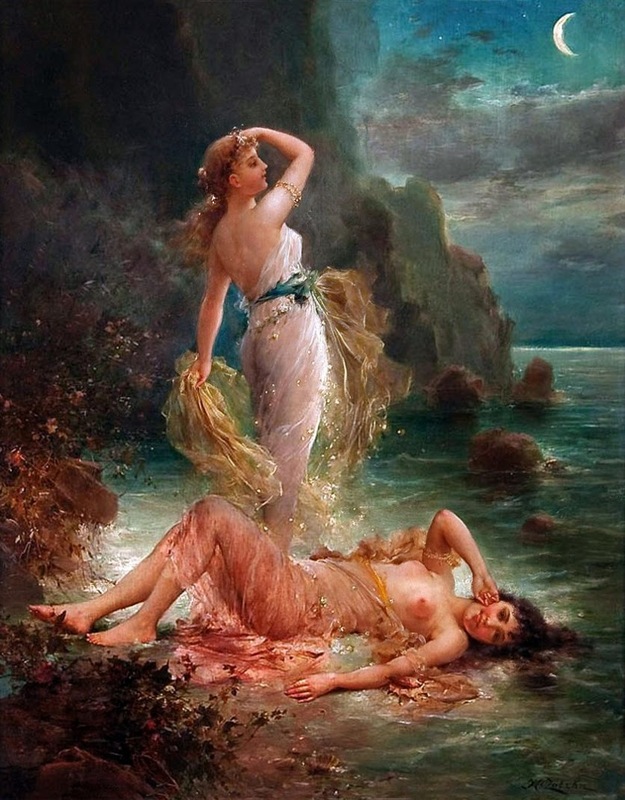 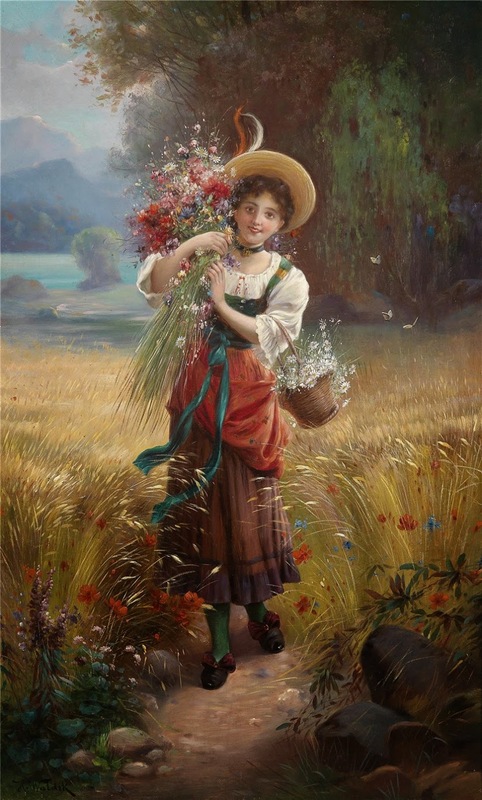 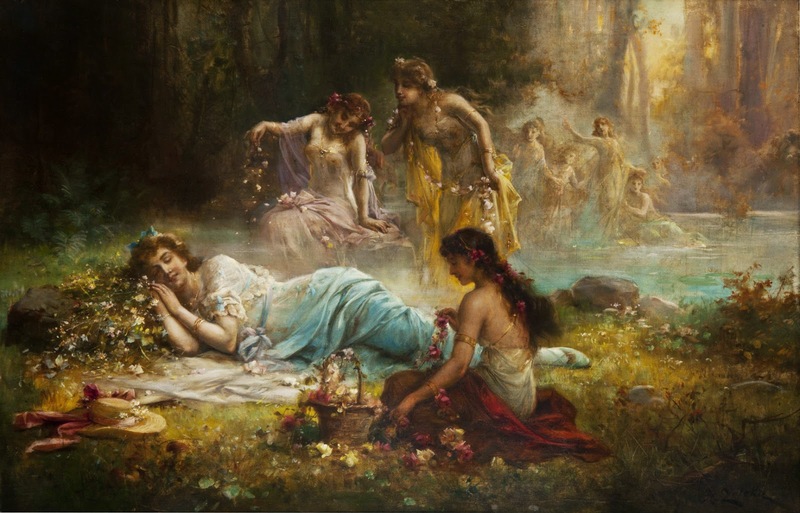 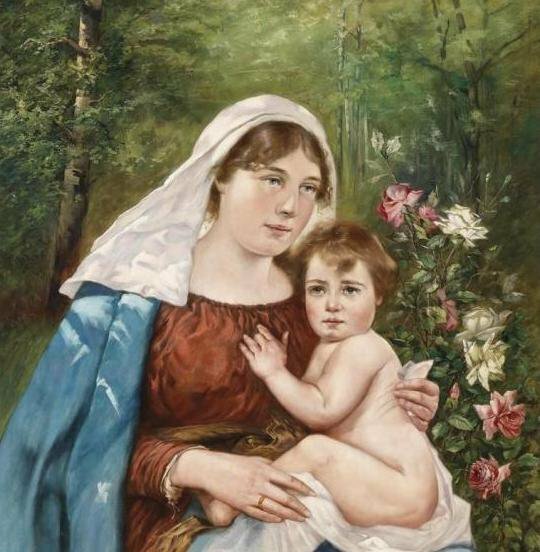 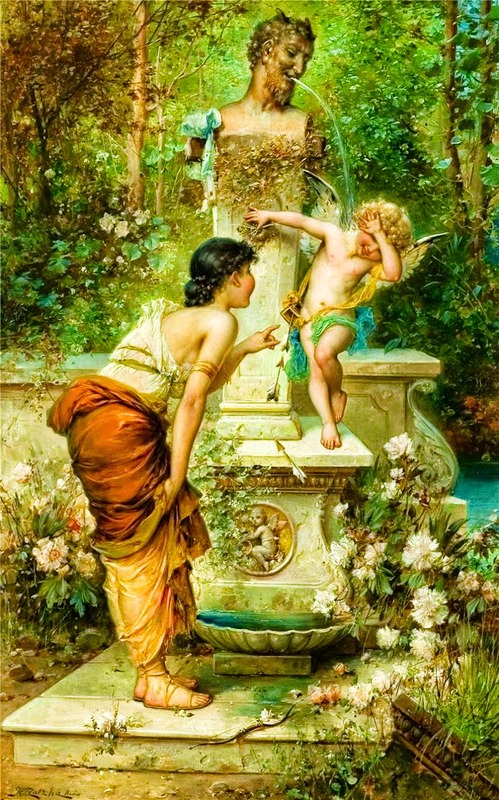 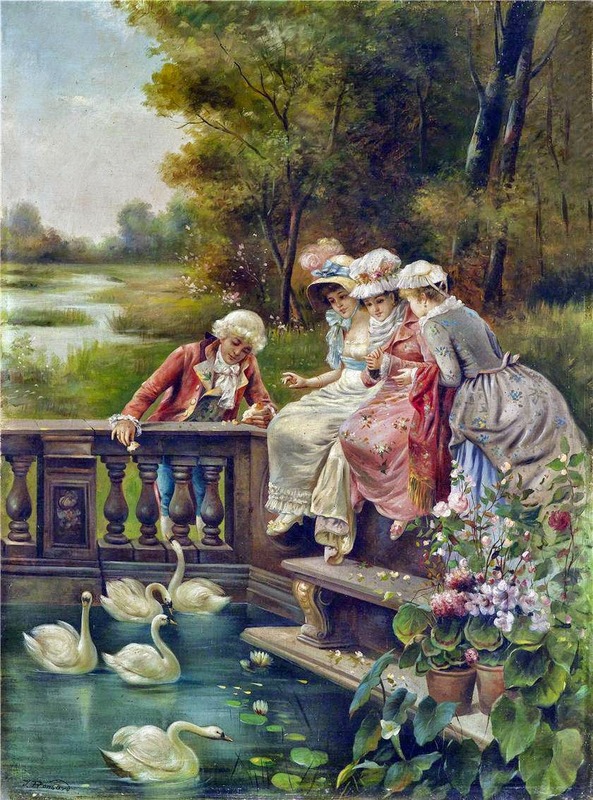 Hans Zatzka viene considerato autore moderno dedito ad una pittura prevalentemente religiosa, dai marcati soggetti allegorici. 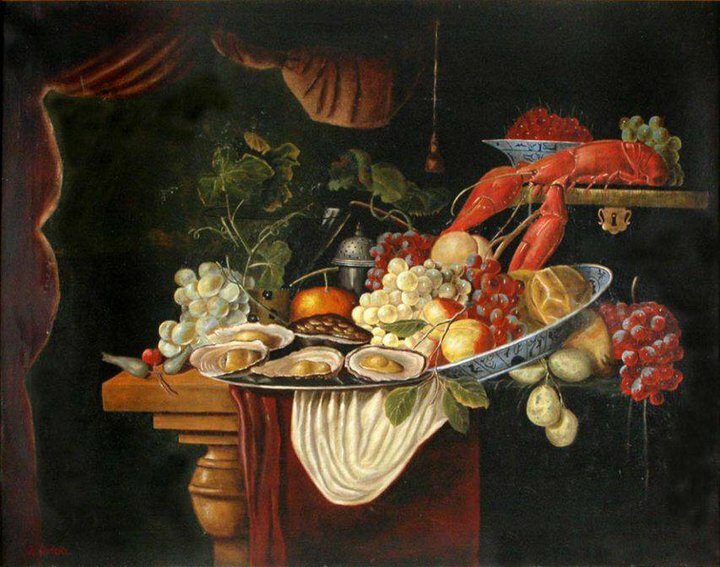 Un occhio molto marcato verso il dato naturalistico, prediligendo materiali arcaizzanti, nutriti di emozioni romantiche. 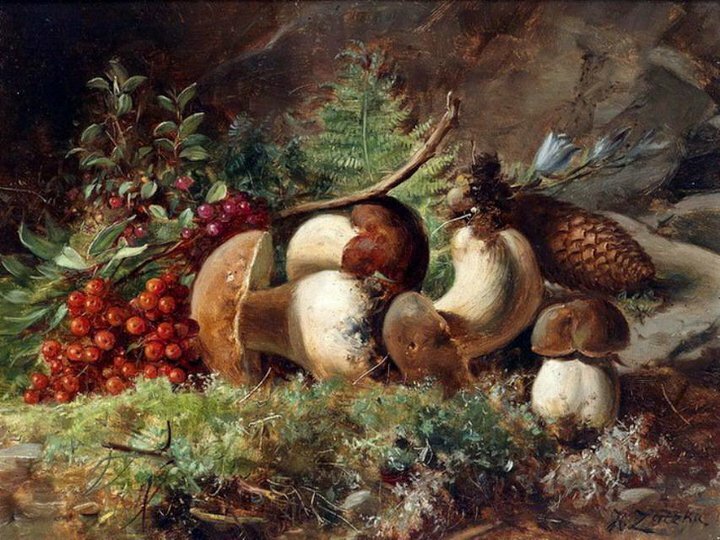 Una fedeltà botanica simile al tratto Pre-Raffaellita e con netti riferimenti alle loro matrici poetiche. 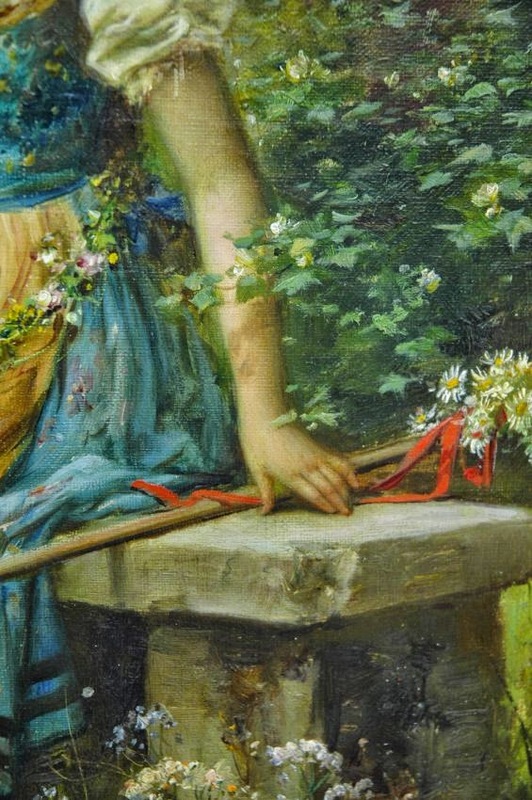 Un autore che ha donato enfasi alla dolce e verde terra destinata ad essere violata dall’industrializzazione e dalla distruzione bellicosa delle imminenti guerre che di lì a poco l’avrebbero sconvolta.